The same rules apply to the usage of our Z symbol. A number of logo and Z symbol assets in different file formats and sizes are available for download. Never alter or attempt to recreate the logo — always use the artwork provided and adhere to the usage guidelines. Previous versions of the Zagster logo (with the 'A better way to bike' tagline) have been retired. Please only use logos from this site. Have questions about how to properly use our logo or other brand features? Contact us at brand@zagster.com. The minimum clear space is defined as x, measured by the width of the letter 't'. No other graphic elements should enter the clear space, including borders. Try to maximize clear space whenever possible. The minimum size of our logo and Z icon is 21px high on screen, or 0.25in (6.35mm) high in print. Ideally the Zagster logo is to be used on a white background for maximum impact and clarity. When this is not possible, be sure to chose an alternate logo and background colors or photos that provide good contrast. Use the grey logo on light-colored backgrounds. Use the white logo on dark-colored backgrounds or photos. Don't recreate the logo or use outdated files. You can download everything you need here. Make sure the minimum clear space is applied to the logo and Z icon. Maximize clear space whenever possible. Make sure the logo reads clearly and has sufficient contrast with a background color or photo. Don't place the full color logo on any background other than white. Drop shadows, gradients, bevels and strokes don't mix with the Zagster logo. The Zagster logo should never be redrawn, distorted, rotated, or added to. Don't use the wordmark without the Z symbol or alter the spacing. Our logo likes to stay blue, grey and white. Don't fill it in with a pattern or a photo. The main Zagster color palette consists of 4 colors: Zagster blue, light blue, grey, and Zagster orange. Zagster accent colors provide flexibility in design, but should only be used alongside main colors. Tints and shades of main and accent colors can also be used sparingly. Always use this icon to represent a Zagster bike. 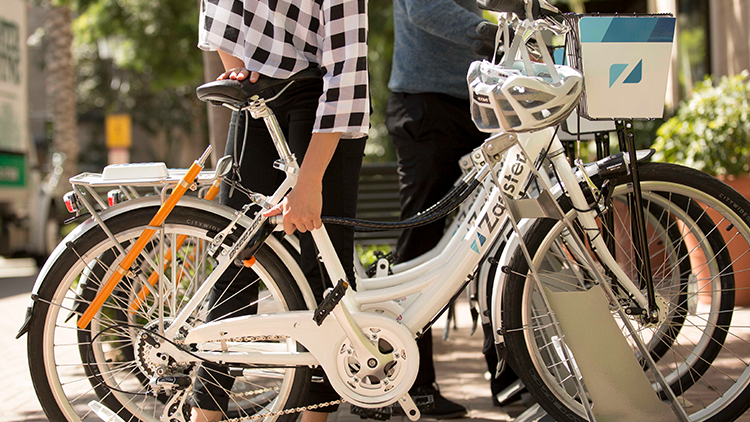 Other bike icons lack the step-through frame and front basket that are signature features of a Zagster bike. It also comes in a 'zoom' version! Our pin is used to show Zagster bike station locations on maps. It's also the Zagster app icon.